The technology and performance of a 150, the sporty attitude of the “Vespino” that conquered the ’60s. 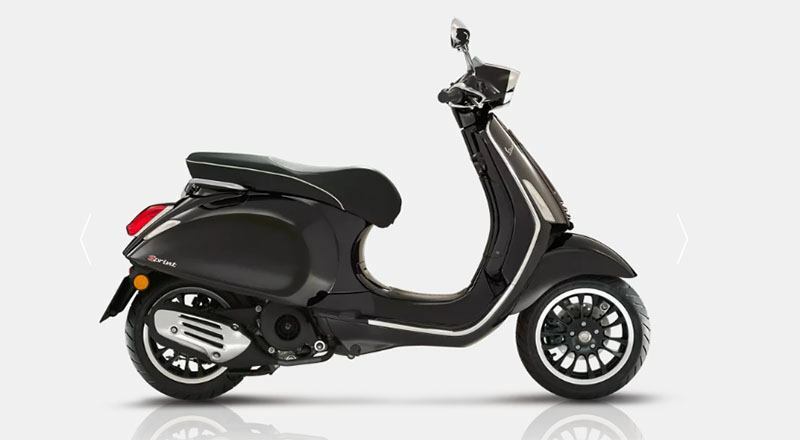 The Vespa Sprint 150 is perfect if you're looking for a scooter to riding round town dynamically and safely without sacrificing comfort and unmistakable Italian style. In addition to the technology of its 3 valve electronic injection engine, which delivers excellent performance and consumption levels among the lowest in the category, the Vespa Sprint has an ABS system, a huge advantage in ensuring safety for motorcyclists. In the event of sudden braking or a slippery surface, the sensor system installed on the front wheel of the Vespa Sprint 150 is able to prevent wheel locking and loss of control of the vehicle, thus ensuring stability and efficient braking, always.